Hi! 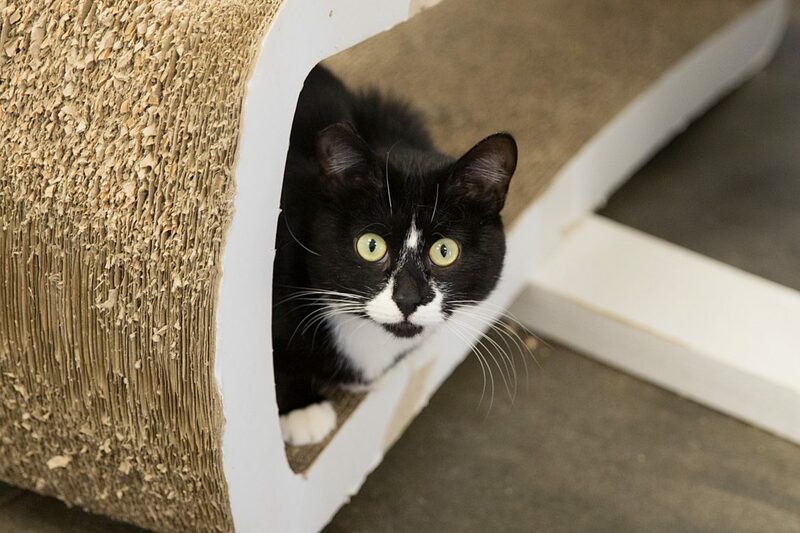 I’m Jimbo, a young tuxedo boy with the cutest nose. I’d love to be adopted with my best friends Sparrow. We like to play with toys and chase around on the cat trees. I’m shy at first but I love petting once I get to know you and am quite a talker. I love cats so you’ll usually find me playing with my friends Sparrow and Savannah. We have a lot of fun together. And I’m used to seeing lots of doggies at the store. Adopt or visit me at Woody’s Pet Food Deli In the strip mall at 1785 Radio Dr, Woodbury, MN 55125. Contact Molly at 651-295-3758 or mollysgardens@gmail.com for info.